I f you enjoy dogs, great food, and socializing with people, we’d love to hear from you! Whether a born organizer, or just like lending a helping hand, we invite you to join our team! 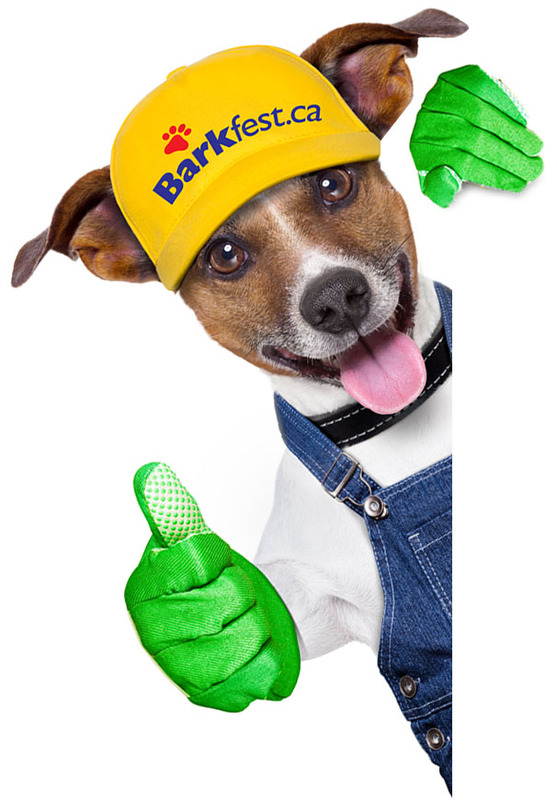 Barkfest Dog Festival & Harvest Fall Food Fair is looking for a broad range of enthusiastic people (both young and old) to help during our 2-day festivities. Schedules can be flexible depending on your availability, and all contributions are greatly appreciated. Each volunteer will be provided food, refreshments, and of course the ‘official’ Barkfest ballcap. After all, it’s our fabulous volunteer ambassadors who make ALL the difference! Many thanks to each and every one for your generosity… smiles are infectious! STUDENTS: Becoming a Festival Volunteer is also a great way to earn those extra Community Service hours! CLUBS & GROUPS: Encourage your members to become Festival Volunteers & be eligible to receive DISCOUNTED booth space to promote & fundraise for your organization! We are also seeking donations for our fundraising events and contest prizes. All individual and company contributions will be acknowledged at the show and on our website.